« “Ruthless Angels” From Jack And Judy Bonham: Spotlight On A Brand New Hit Western Novel! The story of Brock Clemons is a tale of bravery, adventure and romance, and will transport readers back to a time when chivalry, courage and gun fights ruled the days in the West. 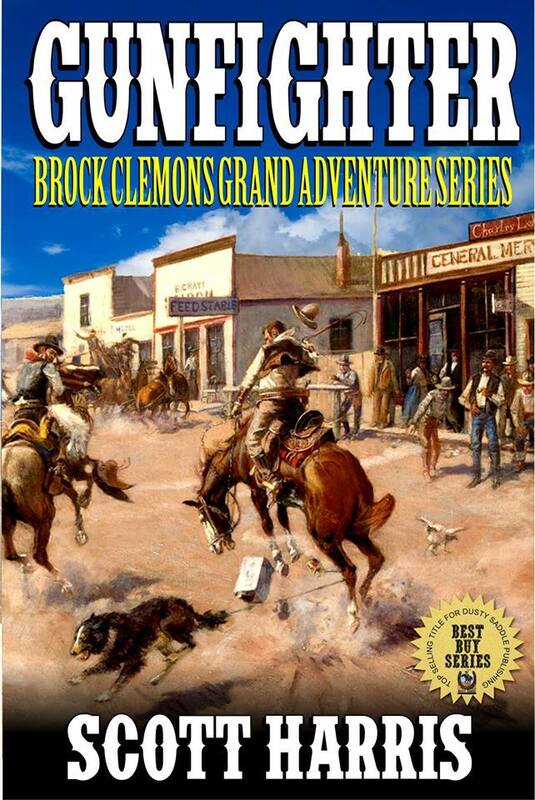 In these three books of the Brock Clemon’s Grand Adventure Series, “Battle on the Plateau” and “Mojave Massacre” and “Ambush at Red Rock Canyon” readers can continue to enjoy the thrilling adventures of Brock Clemons! Brock, Sophie and Huck leave Dry Springs, in a story as sweeping and grand as the canyon they now live in. Their adventures include a family washed away by a flash flood, a kidnapped orphan, an aging hunter—with wisdom and experience to share—and a series of deadly battles with vicious and vengeful Paiute. Brock, Sophie and Huck are still living with the Havasupai at the bottom of the Grand Canyon. But their lives are threatened by the murderous and vengeful Paiute, and Brock and Huck, seeing no alternative, race one hundred miles to a small trading outpost, hoping to buy the rifles that will give them a chance against the much larger Paiute forces. They stumble across four slaughtered Hopi Indians, track down the murderers, and find help in very unexpected places from friends – new and old. The final battle is brutal, bloody and decisive. Brock and Huck have to get a wagon full of silver from the Cerro Gordo mine to Los Angeles, knowing there is a ruthless killer waiting to ambush them somewhere along the two-hundred-and-fifty-mile trail. They can only hope that the men they’ve recruited to help them are better than the men Tiburcio Vasquez has recruited to kill them. At the same time, unknown to Brock, Sophie sets sail for a new island and possibly a new life. It’s a dangerous time, and things are changing fast for Brock Clemons and his family. Plus, much, much more! Grab your copy of this collection today to discover some of the greatest Western adventures from Scott Harris! Click here to download your copy!